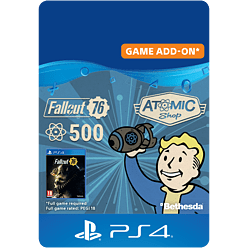 Purchase 500 Atoms, an in-game currency you can use in Fallout 76 to buy a variety of customisation items for your character. Visit the in-game Atomic Shop to see what’s available. Please note: Full game required.